We’ve had a big soft spot for US trio Fun. since they dropped their single ‘We Are Young’ late last year. Of course, they followed that up with the equally super ‘Some Nights’ and the entirely listenable album that was blessed with the same name. 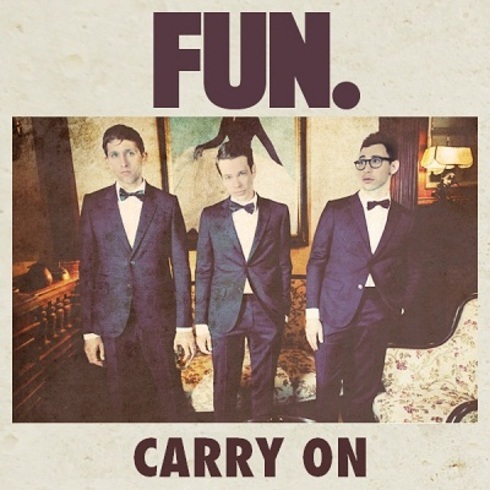 Now they’re onto single No.3 ‘Carry On’ and it seems they’re resonating with local audiences again, with the single premiering at No.53 on last weekend’s ARIA singles chart. Once again here they deliver a song that entirely devoid of the “in the club” and “dance all night” references that are too often littering the charts these days, instead telling a tale of invincibility and that whatever life throws at you, no matter how difficult things get, it’s imperative to hold your head high and (as they say in the classics…) ‘Carry On’.